Mixing elements of Underground and Most Wanted, Need For Speed: Carbon brings players back to the racing underground with an intense underground experience. Adding a Crew system allows some changes to the gameplay, but the basic feel of the gameplay has remained largely unchanged. Carbon takes you to another large city as you look for races, upgrade your cars, battle rival gangs and evade the police. Additional new elements include body sculpting, and an intense new series of canyon races that unfold at a blistering pace. While NFS Carbon doesn't reinvent the wheel, it's another solidly entertaining installment in the popular racing franchise. 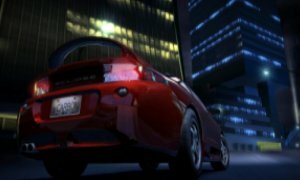 Last year's Need For Speed: Most Wanted successfully upgraded the series with high-definition graphics, an open-ended city to race in and tons of customization options. This year's edition takes most of those elements, brings the series back to its nocturnal Underground feel and adds several important new gameplay elements. The most significant of these is the new crew system, where you have additional racers at your side during the race. You start off with a very small crew, but you can recruit additional members by winning races and defeating rivals. Referred to as Wingmen, these new characters come in three types: blockers, scouts and drafters. Each one helps you in different ways with the Blockers helping to impede opponents, while the drafters race ahead, allowing you to use their speed to burst into a sudden speed boost. Drafting is a tricky technique to master, but quite effective once you do. The scouts search for faster routes and short-cuts for you during the race. This additional makes the races feel a bit more dangerous and adds to the strategy, since you are no longer racing alone. It can become annoying to have someone constantly barking orders in your ear, but it's not as intrusive as it could have been. 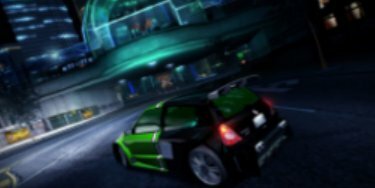 The structure of Carbon City is fairly similar to last year's NFS in that you still have a fairly open area to drive in free roam mode, though there are now different gangs who control each area of the city. When you enter one of these sections, rival racers will challenge you. Defeating them allows you to claim territory, which reduces the heat you'll face and unlocks additional safe areas and other items. As you gain reputation and experience, you'll also find that the police get on to you, making your car an almost immediate target. This means you have to switch and change vehicles more frequently than in the past. For the most part, the game follows the structure and feel of the last few Need For Speed titles, though there are some impressive additions that bring a new feel to the series. One of the biggest changes this time is the ability to affiliate your character with one of the vehicle classes. 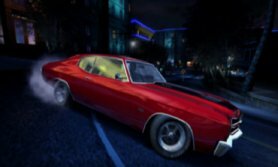 The game includes real manufacturer's vehicles, but you can now select which type you want to represent - there are three classes: tuner, muscle and exotic which encompass tons of vehicles. Once you've selected which type you want to use, it enhances your identity and adds yet another rivalry to the mix, adding some depth to NFS: Carbon. Many modes have been carried over from last year's edition, though there are a few new ones. Players looking for sprint, circuit, drag and drift racing will be happy to learn that these are all back. There are also several new modes including trading paint, where you have to cause damage to another vehicle. As you win races and upgrade your vehicles, you'll unlock additional races in the Challenge series. You'll also face off against several boss characters at the end of each round. Defeating these characters not only adds to the vehicles in your garage, it also opens up additional areas of Carbon City for you to race through in Free-Roam mode. While the city itself bears some similarities to the one in last year's game, there are some big changes which go a bit deeper than the use of Neon lights. The coolest of these involve the new Canyon races, which take place on a twisting course in the darkness with new railings which you have to avoid or else risk plunging over the side, adding a sense of danger to the races. These are impressively done and the intensity and challenge of these new Canyon sequences definitely makes NFS Carbon much more exciting, with a different type of racing that's more primal and intense than you'd expect. The sense of danger and doom is definitely a new element in the series, and this alone makes the gameplay more challenging and exciting. The gameplay unfolds at a good pace, you begin at the bottom of the rung and work your way up through the ranks. As you win races, you'll unlock additional vehicles and earn money for parts that you can use to upgrade your vehicles. The game's customization options are impressive, with the new body sculpting mode allowing you to create a truly unique vehicle that reflects your personality. NFS Carbon's progression is fairly non-linear, and you're allowed to jump around through different modes such as going back and forth from the free roam, career and challenge modes. This lets you explore the city, try out different vehicles and upgrades at your own pace, which is one of the more appealing aspects of the game. You can use the Safe House menu to manage your garage, select your crew and vehicles, customize your rides and select which type of race you want to compete in. The game's controls are fairly easy to understand, and Carbon doesn't really change the familiar formula too much. Vehicles remain quite responsive and easy to use, though the drifting and nitrous seem a bit more refined this time around. The biggest change is using the d-pad to call up your wingmen, which can become intrusive during the heat of a race. As noted earlier, NFS Carbon's aesthetics take the game back to its night-time roots and the city itself glistens with neon, and blurs together pavement and steel to create the best looking game in the series to date. The game looks fantastic in HD, with small cracks and indents in the pavement surface clearly visible. Impressive weather effects such as rain and fog add even more realism to the experience. Each car model is robustly designed with detailed mapping, reflections in the paint and beautifully realistic design that makes them look fantastic. Carbon City is an impressively large canvass for you to ride through, and there are many unique areas in the game that help to make it feel like a large, expansive urban environment. The scale is impressive, and this approach gives you a variety of racing, with plenty of challenging turns, long straights and short-cuts to keep you motivated. The city's layout is realistically mapped and includes everything from bridges, highway intersections, winding back roads and short-cuts, which you can explore in the free-roam mode. This allows for a variety of racing techniques and this variety goes a long way in keeping you motivated throughout. Progression is fairly painless and the new areas seem to offer something new throughout and this open-ended approach gives NFS: Carbon plenty of replay value. The vehicles perform and feel like their real world counterparts would as well, giving this a level of authenticity that makes for an exciting and believable racing experience. Need for Speed Carbon doesn't significantly alter the successful formula from the past few games, it still offers some exciting changes and updates that help to keep the series fresh. Adding crews and gangs gives you a more interesting backstory, though it doesn't always work and can be distracting. However, the upgrades in vehicle customization are welcome evolutions for the series. It maintains the open-ended structure of previous games, but Carbon's Canyon sequences are intense and bring a new sense of urgency to the races. These additions seem minor in isolation, but taken together they create a significantly improved and more intense game that makes for a more intense, deeper racing experience than expected. While the changes and additions add depth, this is still at heart an intense racer and Carbon succeeds in keeping this solid franchise from seeming stale. Need For Speed Carbon is a highly polished, solidly entertaining and engagingly deep game that delivers the exciting racing players have come to expect, along with a few surprises.